Please note: All characters and events appearing in this work are entirely fictitious. Any resemblance to actual people or events is hashgacha pratus. Chelm: In Jewish folklore Chelm was a town reputed to be inhabited by fools. Where problems almost always centered on silly solutions. Some of these solutions display foolish wisdom, while others are simply wrong. Reb Nechemya was a respected man in Chelm and so when Yankel accused Reb Nechemya of stealing his pink sweater it was difficult to believe it. Reb Nechemya was not the type to steal. In fact, Reb Nechemya ran the entire finance and charity of Chelm, so to accuse him of stealing really made no sense. Yankel was just a child (I should say it happened when he was a child). Now he is a grown man and wants his sweater back. It does seem kind of strange that he waited all these years to speak up. Truthfully he had no choice because as a child no one would believe him. Children tend to have huge imaginations and their “brains are not fully developed”. A child in Chelm is never believed. So Yankel waited until he was 18 and he could stand up for himself. You see, Yankel knew it happened because he saw it with his own eyes. But that really made no difference to the people of Chelm because there was no proof, and without proof there was nothing anyone could do about it. Well, maybe there was no proof-- but there was plenty of evidence, as you will see. To start with, it was established fact that Reb Nechemya was in Yankel’s room many times, and some say he was eyeing that sweater like it was something he desperately wanted. It’s understood that someone like Reb Nechemya had no place being in Yankel's room altogether, but thats not a enough of a reason to accuse a great man like Reb Nechemya of stealing. Besides, why would a grown man even want a child’s sweater?! And so the story would have ended there if not for Yankel’s persistence in the matter. Finally the moment arrived and the Great Sage came out to talk to the people. One could hear a pin drop as he began to speak. He highlighting all the points that were made and how there was evidence at hand in support of Yankel. He then spoke about the greatness of Reb Nechemya, of all the work he does, and then came the clincher, as the Great Sage began to explain why it was precisely for those very reasons that there will be no trial. At first the crowd didn't understand this, if Reb Nechemya was guilty, why no trial? There were a few reasons, the Sage explained. First, because of all the evidence, the people have a right to be angry and furious at Reb Nechemya and if that is the case how can he ever have a fair trial when he is now hated in Chelm. In addition, Yankel believes Reb Nechemya stole his sweater and therefore wants revenge, and so how can we believe the testimony from someone that wants revenge? 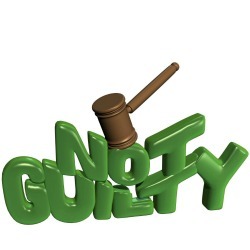 And to top that all, now everyone in Chelm knows what happened, so of course the jury will find him guilty. Without a fair trial there will be no trial, announced the Sage. Most importantly, the Sage explained, there is even a bigger issue here, and that is the reputation of Chelm itself. If it were the case, that our great administrator of charity himself, is a thief and maybe even has a mental disorder, can you just imagine the repercussions for Chelm. This will destroy Chelm both from the inside and out! The crowd was in awe of the Sages advice and they all nodded in agreement. Yankel’s determination caused an outrage in Chelm, and it seemed like he would have been smart to drop the whole thing. In fact, Reb Nechemya even offered to buy Yankel a new, and even nicer sweater. Reb Nechemya definitely seemed like the better guy here and yet Yankel wouldn't let it go. The sweater was special to him because it was given to him by someone he loved very much. The sweater was handmade for Yankel by his grandmother just before she passed away. In addition Yankel felt violated that someone would come into his private room and steal something while he was right there! Even more; how dare Reb Nechemya say he was lying?! Reb Nechemya knew Yankel saw him take the sweater because while he was in the room, Yankel woke up! Reb Nechemya saw that Yankel was awake, and gave Yankel a look that said “don’t you dare tell anyone about this”. At least that’s Yankel’s version of the story. But nobody cared about Yankel’s version. Yes, all this time the people backed Reb Nechemya completely. Reb Nechemya had done so much for the community and was responsible for so much tzedaka that he won over the hearts of the people of Chelm. But not for too long, because when the sweater turned up in Reb Nechemya's own car some people starting having doubts. Reb Nechemya insisted he owned an identical sweater. Why would he own a child-size sweater you may ask. Well, he bought the sweater to give to a poor orphan. So why was Yankel’s name inside the sweater? Well... Reb Nechemya had a reason for everything. Moreover, next to that sweater they found many other things that apparently didn't belong to him. There were lots of childrens clothing that had other people’s names on it. The children were contacted but none of them wanted to make a big deal about it. They also suspected Reb Nechemya, but it was in the past and they were done with it. Besides they saw what happened to Yankel and they didn't want to be in the same situation. What happened to Yankel? Let’s just say he was besmirched and ridiculed by the people of Chelm beyond belief. Not just him, but anyone that took his side was hurt. How dare they back the words of a nobody over Reb Nechemya. Accusing someone as popular as Reb Nechemya is no small matter, and in a small community like Chelm this was tantamount to heresy. In fact his entire family was excommunicated from Chelm, whether they took his side or not, and this wasn’t easy for Yankel. Sometimes he wondered if he was persisting just out of revenge. Reb Nechemya’s strongest supporters brought proof that he was telling the truth. I’m not sure if you would call it proof, but Reb Nechemya had been in their rooms many times and hadn't stolen anything from them! Not just that but all those that were supported by Reb Nechemya charity came out in support of him. It could never happen, they said, and if it did, so what? Doesn't the good that he’s done outweigh the bad!? Reb Nechemya also defended himself by explaining that he had no reason to steal childrens clothing, he was wealthy and his children had more than enough clothing. But a kleptomaniac is a kleptomaniac. It’s not even their fault, it’s a psychological problem. So in reality they were accusing Reb Nechemya of having a mental disorder, and that’s even worse than stealing! Yes, thats what Yankel and those supporting him claimed; that Reb Nechemya was a crazy man! And so while Chelm backed Reb Nechemya, his image and reputation was being hurt and something needed to be done. Luckily this was Chelm and who better to ask than the Great Sage himself, for only he would be able to decide on such a difficult matter. The Great Sage listened very carefully to both sides of the story. Can Yankel the simple guy bring the great Reb Nechemya to trial? The Great Sage said he will need sometime to think this over. He said the outcome would have strong implications. He went into his study and began to ponder the situation. But there was still one big problem, Yankel had something stolen and everyone knew it. It wasn't fair. If only the Sage could find a solution to this dilemma. Before anyone could even ask the question, the Sage pulled out a check from the Chelm treasury and handed the money for a new sweater to Yankel. There was a huge cheer from the crowd. The people of Chelm felt so proud to have the wisest of men as their Sage! And so today in Chelm, whenever there is evidence, there is no trial, because as the Great Sage said, there is no way the accuser will get a fair trial. If need be, the money is taken from the Chelm taxpayers. So did thievery stop in Chelm, you might wonder. Certainly not. In fact it went up. But the people of Chelm felt happy as ever as the reputation of Chelm was kept intact! To spell it out, Reb Nachum is Weberman and Yankel is his victim. This is Chelm, after all. You forget the part where R' Nechemia's supporters say, "Why did Yankel even have a pink sweater? A faigele with an agenda!"